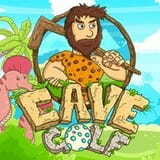 Neanderthal men too played in due time a golf. Try the forces, having gone into all balls in лунку and having collected bonuses on the earth. Each new level will be more difficult previous.